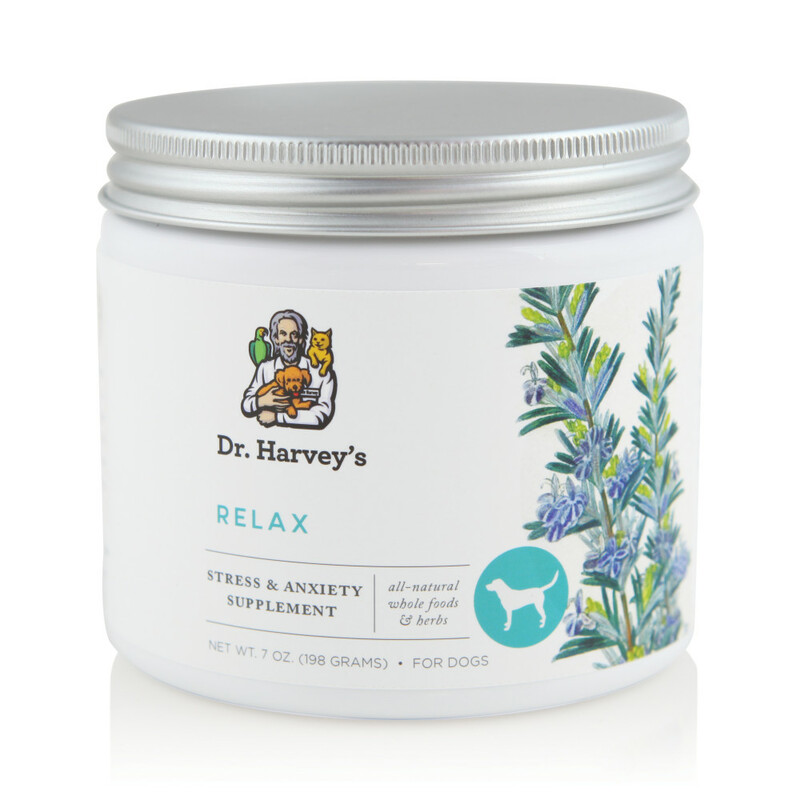 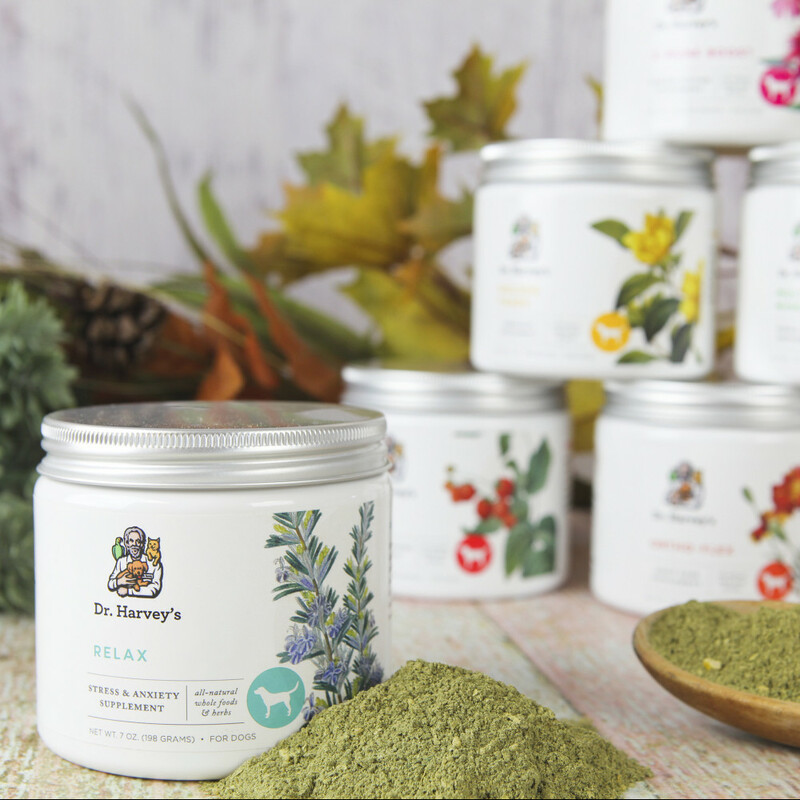 Dr. Harvey’s Relax and Stress for Dogs is a powdered supplement that may be used as an all-natural aid to calm dogs, without harmful side effects. 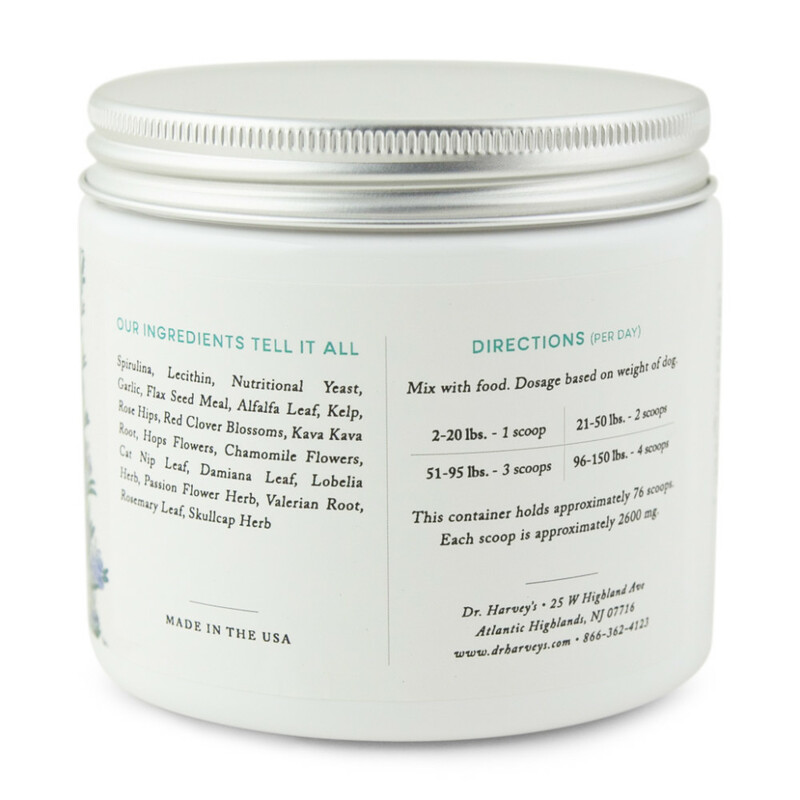 This supplement is gentle and effective and can be used daily. 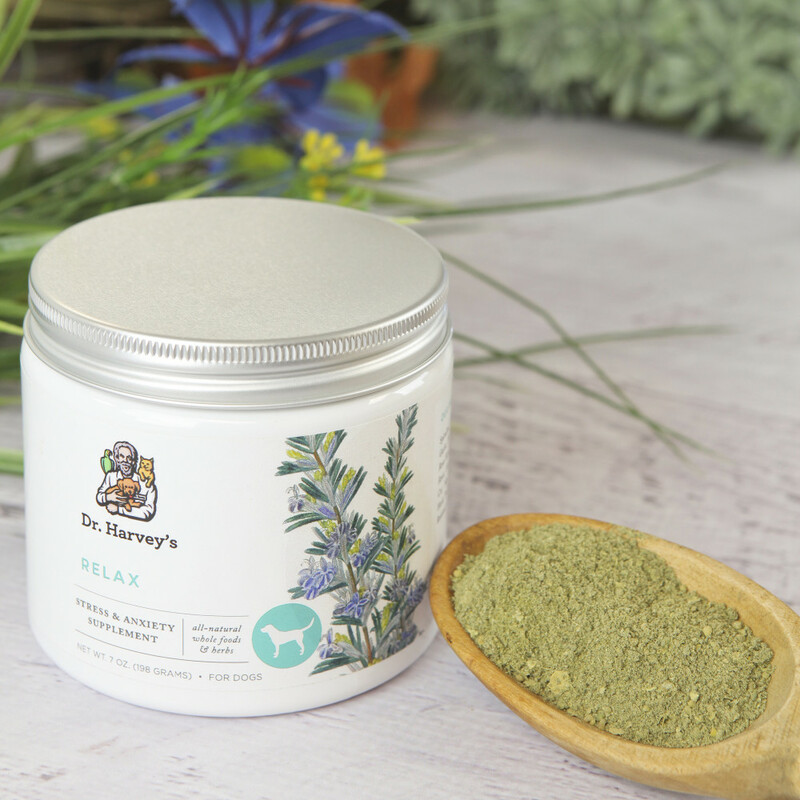 Relax and Stress is a powdered formula that can be mixed into a dog’s food.